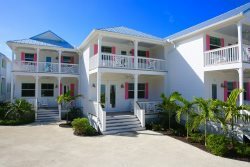 Brand new, bayside Islamorada villa rental is fully equipped for stays of a week or more. This brand new, luxury 3 bedroom Islamorada vacation villa is in the Art District, and close to the marinas, shopping, fine dining and entertainment while enjoying breathtaking sunset views. Other area attractions are the Hungry Tarpon, Windley Key Fossil Park, Theater of the Sea Marine Animal Park, John Pennekamp Coral Reef State Park, and the many attractions afforded by waterfront living. The property has dockage for up to five 16’-20’ boats. In addition, the property has a floating dock for launching kayaks and paddle boards. Two larger marinas lie within walking distance to the East and West of the property.